You don't have to buy an expensive curriculum to home school preschool. Creating learning centers in your home is one of the best ways to teach preschool at home. Here are some homeschool preschool guidelines, along with a list of skills you should teach your preschooler. Here are some tips for choosing a homeschool preschool curriculum. Here are some tips for homeschooling preschoolers. Turn your home into a learning environment by setting up learning centers similar to those in a traditional preschool classroom. Choose a room in your home, or a small section of a family room or bedroom, and stock it with easily accessible materials for your child to explore. Set up centers for language, math, science, dramatic play, construction, sand/water and music. Consider using the following items to stock your learning centers. A bookshelf, a basket of books, a lamp, a comfy chair or floor pillows, a CD player, audio books, alphabet letters or magnets, alphabet flashcards, and preschool magazines. A scale, a timer, an hourglass, magnets, a magnifying glass, a prism, measuring cups/spoons, pitchers, plastic bottles, pails, utensils, tweezers, a bug jar, an aquarium, sand, gravel, soil, and seeds. Puzzles, legos, tangrams, linking cubes, peg boards, geo boards, number tiles or magnets, flashcards, lacing activities, and file folder games. Dramatic play allows children to imagine and pretend. It can also be a healthy way for children to express emotions. Old clothes, bolts of fabric, sheets, scarves, hats, caps, visors, backpacks, purses, jewelry, glasses, shoes, toy food, empty food boxes, pots and pans, utensils, play food, and puppets. Construction centers turn your children into designers and architects. They allow children to build little worlds, and imagine themselves to be a part of them. Blocks, cardboard boxes, legos, lincoln logs, k'nex, tinker toys, rulers or boards for ramps, small people and animals, and wooden trains or matchbox cars. Older children may want to hammer nails into wood with adult supervision. Home Depot sponsors free building workshops that are suitable for older preschoolers. Sand, water, shaving cream, shovels, a toy rake, buckets, cups, pitchers, measuring spoons, a spatula, a muffin tin, spray bottles, plastic food containers, empty ketchup bottles, a colander, a sifter, funnels, plastic people and animals, toy boats and cars, shells, rocks, and gravel. Bells, rhythm sticks, xylophone, egg shakers, maracas, drum sticks, a recorder, CD player, and CD's. You can make your own maracas by putting beans or rice in an empty toilet paper roll and wrapping it with paper. For an old fashioned set of drums, use pots, pans and a wooden spoon. 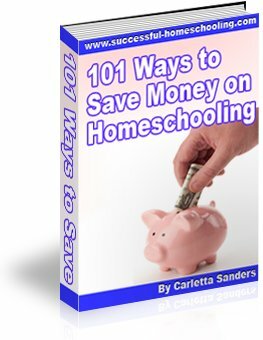 You can also use games and activities to home school preschool. Here are some preschool activities and preschool educational games. The Usborne Big Book of Playtime Activities contains 224 pages of drawing, coloring, painting, art and counting activities, along with step by step picture instructions that young children can follow. This book is a great addition to any home school preschool activity center! Follow this link to learn more about Usborne preschool resources.